Arkansas-based fast-casual restaurant chain Slim Chickens, known for its tenders and wings, is rolling out a chicken-breast sandwich for taste-testing. Testing is underway at Slim Chickens’ three Fayetteville locations, its Rogers store, and in Broken Arrow, Okla., near Tulsa. The restaurant chain is offering cayenne ranch and buffalo chicken sandwiches in Northwest Arkansas and cayenne ranch and Cajun chicken versions of the sandwich in Oklahoma. Customers who select the sandwich are asked for feedback in a survey that takes about a minute to complete. That information goes straight to a few select Slim Chicken executives. So far, customers’ feedback has already resulted in changes to one of the sandwiches. The process is expected to continue for the next several weeks. 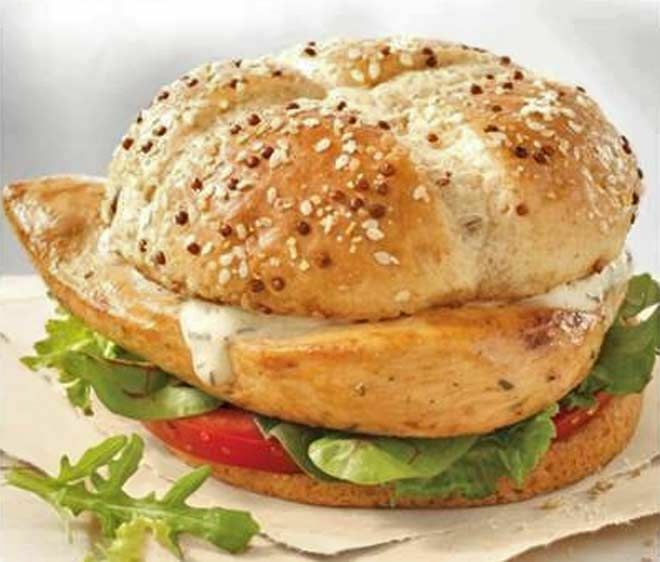 While the chain has offered sandwiches in the past, this is the first one made with a whole, premium chicken breast. Rothschild described the test sandwiches as being made from high-quality chicken and “fully dressed” with Slim’s sauce, pickles, lettuce and onions. “We want our sandwich to stand out,” he said. Slim Chickens has 35 restaurants — 25 are company owned and 15 are franchise operations — in Arkansas, Texas, Oklahoma, Illinois, Nebraska, Kansas, Louisiana, Missouri and Tennessee, with 21 other stores under construction. With the new stores, Slim’s is expected to have more than 50 restaurants open by the end of the year. The company said it hopes to have 600 stores in the United States by 2024. Slim Chickens competes in the fast-casual segment, where operations focus on an enhanced dining experience compared with fast-food operations. While they don’t have a wait staff, fast-casual restaurants typically deliver patrons their food after ordering. According to information provided by Chicago-based Technomic Inc., a research and consulting firm focusing on food and food service, sales at limited-service chains among the top 500 U.S. restaurant chains grew 5.5 percent to $211 billion in 2015. Sales at limited service chicken restaurants was up 9 percent. Limited service chains include fast food and fast-casual concepts. Sales in the fast-casual segment alone were up 11.5 percent, and unit growth was up 9.6 percent in 2015, according to the report. Darren Tristano, president of Technomic, said that portability, in the form of a sandwich, is something that consumers are looking for, and that adding a sandwich helps fast-casual operations compete with more traditional fast food’s convenience factor. “One hand on the wheel and the other on a sandwich,” he said. He added that Slim Chickens’ efforts to test the sandwiches locally are wise. Rothschild said the sandwich sells for $3.99 by itself or as part of a combo meal at $6.49. Slim Chickens’ lowest cost combo meal, pre-sandwiches, was $6.99. He said that puts the Slim Chickens’ sandwich and combo meal close to fast food on price. “We want people to come to us when they want chicken,” Rothschild said. Panda Express, which built the largest Chinese-restaurant empire in the U.S. over the past three decades, is hedging its bet on Kung Pao chicken by buying stakes in companies that sell everything from pizza and salads to cheesecake. Panda Restaurant Group Inc., a privately held company run by billionaires Peggy and Andrew Cherng, has started investing in small restaurant companies, recently taking stakes in Pieology Pizzeria and Just Salad. The two chains have 111 outlets combined — a fraction of the 1,757 Panda Express restaurants — which is one reason they gave the deeper-pocketed company a seat at the table. 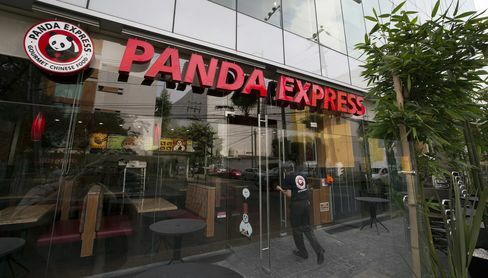 Panda Express plans to make additional minority-stake investments in growing fast-casual and fast-food chains, according to Peggy Cherng, co-chief executive officer of the Rosemead, California-based company. From Just Salad, for instance, Panda Express picked up tips about delivering hot food swiftly to customers. The Chinese-food chain is testing the service in New York, Los Angeles, Chicago, Dallas and Houston, and will soon roll it out in San Francisco and Portland, Oregon. Panda Express may not operate on anything close to the scale of McDonald’s or KFC, but in the world of fast or casual Asian food, it rules. U.S. sales climbed 15 percent in 2014 to $2.28 billion, outpacing rivals Noodles & Co. and Pei Wei Asian Diner, according to Technomic Inc., a food-service consulting firm. Its share of the domestic fast-food market increased to about 0.9 percent in 2014 from 0.4 percent in 2005, Euromonitor data show. The company has succeeded with its Americanized version of Chinese fare by slowly but steadily adding stores over three decades, said Darren Tristano, Technomic’s president. Panda Express made the cuisine easily available — and familiar — by starting out with quick-serve outlets in shopping mall food courts, then expanding to stand-alone restaurants. Now it has spaces in airports and supermarkets, too. The signature dish is orange chicken, and the company boasts that it sold 67.9 million pounds of the tangy boneless bites in 2014. Other popular menu items include grilled teriyaki chicken and broccoli beef. Andrew Cherng, Peggy’s husband, opened the first Panda Express in the Los Angeles suburb of Glendale in 1983. Andrew, who was born in China, got started in the business a decade earlier, opening a Panda Inn restaurant in nearby Pasadena with his father. Peggy, meanwhile, is a native of Burma, now known as Myanmar. The Cherngs have a net worth of at least $2 billion, according to the Bloomberg Billionaires Index. It makes sense for the Cherngs to spend some of their fortune on new ventures, said Malcolm Knapp, president of consulting firm Malcolm M. Knapp Inc. and founder of the Knapp-Track restaurant index. Panda has also put money into chains outside the U.S., including Japan’s Uncle Tetsu and Ippudo. Uncle Tetsu, which sells cheesecake and other sweets, has a location in Canada and will open its first U.S. unit in March, in Honolulu. The first U.S. Ippudo, a ramen-noodle shop, is opening in Berkeley, California, in June. For Pieology, where sales tripled in 2015 to about $100 million, the deal with Panda will “continue the acceleration of growth,” said founder and CEO Carl Chang. Neither company would disclose the terms. Pieology has 84 stores, aiming to open 137 this year and as many as 120 annually for the next five. Just Salad, with 27 restaurants, sold Panda a stake of about 33 percent for an undisclosed amount. The chain opened its first Chicago location in 2015 and will have as many as five more by year-end, said Nick Kenner, the co-founder and CEO. Sales increased more than 30 percent in 2015, and his goal is to surpass $50 million this year. The Cherngs, whose U.S. Panda Express units are 95 percent company-owned, can teach their new partners how to expand, Knapp said. Chick-fil-A knows parents are busy. And it isn’t easy to grab a meal on the go when you’ve got young children in the back seat. A number of Chick-fil-A restaurants across the nation are offer a service called “Mom’s Valet” in which parents can order meals from the drive-through, then park. By the time they’ve got the kids out of the car, a table is waiting for them with their food and high chairs inside. Not all Chick-fil-A restaurants in Tampa Bay offer the service, but the ones on St. Pete Beach and on Gulf to Bay Boulevard in Clearwater do. Another one on Waters Avenue in Tampa will start offering it next week. The program started at one Chick-fil-A a while ago, said company spokeswoman Bekki Poelker, and has since grown to more than 100 of the company’s 1,900-plus U.S. locations. The service is free. Parents who want to use it just need to say so when they place an order at the drive-through. An employee will be waiting for them inside to serve their food. The service received national attention earlier this month when a franchisee-owned restaurant posted about it on Facebook and it went viral. “Our hope is that with ongoing improvements to our mobile ordering app, all customers will have access to this level of convenience at their fingertips in all locations in the future,” Poelker said. 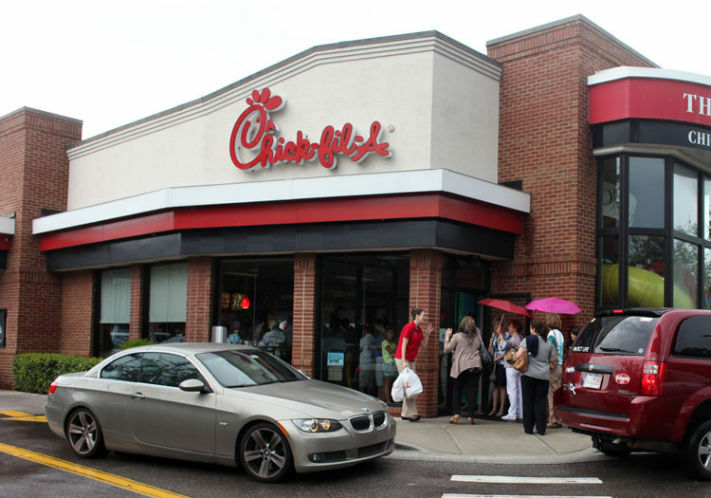 Similar to Publix or Nordstrom, Chick-fil-A is a brand that has a cult-like following. When new stores open, fans camp in the parking lot for a chance to win free Chick-fil-A for a year. In October, the Chick-fil-A on St. Pete Beach hosted an all-you-can-eat chicken nugget promotion, which received hundreds of thousands of shares and likes on social media. In 2015, Chick-fil-A was named the No. 1 restaurant based on customer satisfaction by the American Customer Satisfaction Index. Chipotle was a close second. The company’s executives seem to have other products on their mind, if yesterday’s analyst call was any indication. Where’s the beef? McDonald’s is the biggest burger restaurant in the world, but you wouldn’t have known it from its third-quarter earnings call yesterday. Executives at the fast food giant uttered the b-word a mere six times. Two of the mentions came at the beginning and end of the call when CEO Steve Easterbrook repeated that the company was repositioning itself to be a “modern, progressive burger company.” By comparison, the execs referred to breakfast 17 times and chicken eight times. 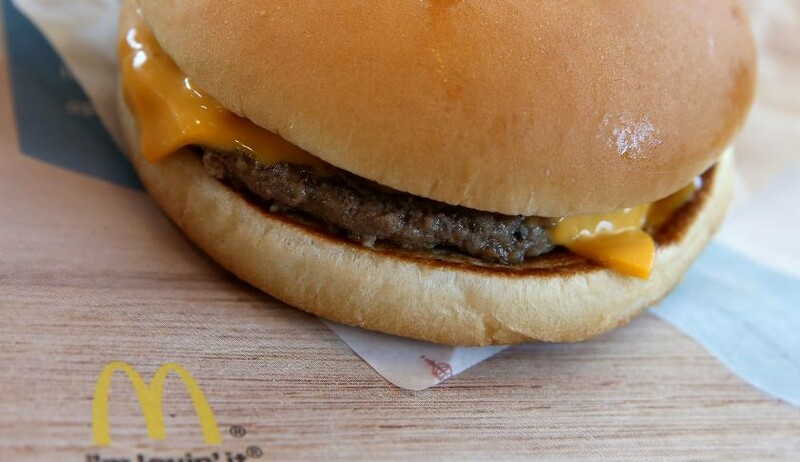 The rare mention of the iconic product that has long defined McDonald’s MCD 0.19% is a sign that being a “modern, progressive burger company” might means focusing a lot of attention on…other things. If you look at the numbers, it’s clear why. The U.S. public may be burgered-out. There are 50,000 burger restaurants in the U.S.—that’s one for every 6,300 people, according to industry analyst Aaron Allen, who says that Americans eat 46 hamburgers a year on average. Of all the sandwiches sold in the U.S., he says three out of every five are burgers, and more than two-thirds of all the beef we consume comes in the form of a patty on a bun. Of course, there’s been a surge in at least one category: the ballooning “better burger” segment. Allen found that some 50 national chains—from Shake Shack to Five Guys to Smashburger—have plans to expand, which will add thousands of locations in the coming years. And the proliferation is not just at burger joints. Darren Tristano of industry research firm Technomic says that the burger is also popping up in unexpected places, such as on Olive Garden’s menu or integrated into tacos. But the pace of growth of the better burger segment is not in line with the growth of burger consumption, which Allen says lags behind population growth. We are already one of the top beef-eating countries in the world. How much more beef can we stomach? “The only growth is coming from cannibalization,” Allen says. “We’ve capped out on the number of burgers we can eat. They’re really just swapping dollars.” He thinks McDonald’s has taken the biggest hit, noting that if you look at the growth of units added in fast-casual hamburger restaurants in the last three years, that’s approximately equivalent to the number of locations McDonald’s has closed. The fast-growing chicken sandwich is giving the hamburger a run for its money. According to research firm NPD Group’s Harry Balzer, 2044 will be the year the number of chicken sandwiches consumed at lunch at all chains will surpass burgers for the first time. “Hamburgers are not on a growth cycle,” Balzer says, “but they’ve got a place in our lives.” He says that the chicken sandwich is not cannibalizing from hamburgers; instead it’s a change in how we eat chicken. Allen, who has done an analysis of McDonald’s menu, says there are now more chicken-related items than anything else on the its menu, and McDonald’s now sells more chicken than beef. Whether it likes it or not and no matter how much chicken it sells, McDonald’s will always be known first and foremost for the hamburger. That doesn’t mean it has to compete with the better burger chains. It just needs to convince consumers that its burger has gotten better. Copyright 2015, The Advocate / Capital City Press LLC, All Rights Reserved. Distributed by NewsBank, Inc.
Zaxby’s, the Georgia-based chain that specializes in chicken tenders, chicken wings and salads, plans to open four restaurants in metro Baton Rouge over the next few months. A franchise restaurant at 1850 W. La. 30 in Gonzales, near the Interstate 10 exit, should open at the beginning of October, said J.J. DeRoy, director of market development for Zaxby’s corporate restaurants. At the end of October-early November, a company-owned restaurant at 34071 La. 16 near Watson is set to open, while a Zachary location on Main Street, across from Wal-Mart, should be open by mid-December. The chain has also applied for a permit to build a third company-owned Zaxby’s, in the Long Farm traditional neighborhood development at Airline Highway and Antioch Road. The city-parish Planning Commission should vote on the final development plan for that restaurant at its Sept. 21 meeting. Once ground is broken on the restaurant, it should be complete in about four months, DeRoy said. Each restaurant will have about 40 to 60 employees. The restaurants will be about 3,500 square feet and have seating for 90 people. Zaxby’s is making aggressive moves in a market dominated by Baton Rouge-based Raising Cane’s. The chains have similar menus, with a signature meal consisting of chicken fingers, fries, coleslaw, Texas toast and a tangy sauce. But Zaxby’s offers a variety of other dishes, including chicken wings, Buffalo chicken tenders and salads topped with grilled, fried or Buffalo chicken. DeRoy notes that Zaxby’s has done well in the crowded marketplace for fast, casual chicken. After all, the chain has grown despite being in the shadow of Atlanta-based Chick-fil-A, the largest national chicken restaurant. Zaxby’s was founded in 1990 in Statesboro, Georgia, near the campus of Georgia Southern University. The company has grown to nearly 700 locations in 16 states. According to QSR magazine, which tracks the quick-service and fast-food industry, in 2014 Zaxby’s posted nearly $1.26 billion in sales. That put Zaxby’s as the 25th-largest quick-service eatery in the U.S., sandwiched between Jimmy John’s and Five Guys Burgers and Fries. Zaxby’s, which opened its first Louisiana restaurant in West Monroe in 2012, now has six locations in the state, including stores in Lafayette, Ruston, Monroe and two in Bossier City. “They’re more of a regional brand, but they’re aggressively growing toward the north,” said Darren Tristano, executive vice president of Technomic, a food industry research and consulting firm based in Chicago. Despite the local popularity of Raising Cane’s, Tristano said there are a lot of opportunities for Zaxby’s in Baton Rouge. KFC, which long dominated the chicken market, has “hit the wall” and seen sales slide for the past five years. McDonald’s, which sells plenty of chicken sandwiches, has seen its sales plunge by 11 percent in the past year. (c) 2015 Columbus Dispatch. All Rights Reserved. Instead of a spicy rub or a slice of artisanal cheese, Wendy’s latest chicken sandwich is getting attention for what it won’t have. The Dublin-based chain is poised to begin testing antibiotic-free chicken in several cities as it tests both consumer response and its supply chain. Wendy’s plans to test a new chicken sandwich in mid-August in seven markets, and antibiotic-free chicken in four of those seven — Orlando, Fla., Gainesville, Fla., Kansas City, Mo., and Austin, Texas. Central Ohio won’t see the new chicken unless it goes nationwide. That move is pretty likely as long as there is enough antibiotic-free chicken available, analysts say. Further details on Wendy’s plans were not forthcoming. Still, analysts think it’s the right move to swim with other chains doing similar things. McDonalds, Chipotle and Chick-fil-A have all pledged to remove antibiotics from their chicken. Big producers including Tyson and Perdue also have announced a pivot away from using antibiotics unless medically necessary. The new chicken will also be used in salads and other menu items featuring grilled chicken. Wendy’s has been looking to tweak its menu lately. Earlier this year, the chain tested a black bean veggie burger in Columbus and received a lot of attention for trying a nonmeat sandwich. There’s no word on whether that sandwich will join the chain’s menu permanently, but it’s part of a bigger strategy among quick-service chains to keep up with fast-casual restaurants such as Chipotle. They have to speak the same language to lure similar customers.